It's been called one of the most remarkable shows in Broadway history and now you can see it in Chicago! 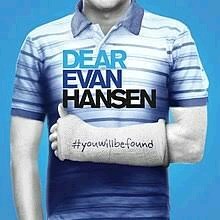 Follow Evan Hansen's struggle to finally fit in as he tries to overcome his severe social anxiety. This coming-of-age journey is deeply personal and profoundly contemporary. Lunch before the show is at the Weber Grill restaurant.